Allergy testing is a critical tool for pinpointing sensitivities that interfere with or even threaten a person's life. Dr. Mario R. Perez is a primary care physician at SunCoast Premier Medical with locations in Clermont and Davenport, Florida, who offers comprehensive allergy testing to his patients to rule out triggers that can lead to allergic responses. The immune system is designed to look for foreign invaders and defend against them. This is how people fight off colds, for example. Allergies are the downside to this complex system. Once the immune system decides something is dangerous, it tags it to prevent future invasions. Unfortunately, that approach can go haywire and an innocuous substance ends up with a tag. For the allergy sufferer, this means that every time they come in contact with that harmless substance, the immune system responds. All this occurs despite the fact that cat dander isn't dangerous. Allergy testing allows Dr. Perez to figure out what innocuous substances trigger an allergic response in his patient. How are Skin Tests Done? There are a couple different ways to do a skin test. One of the most common is the scratch test. With this form of allergy test, a scratch or puncture in the skin allows the suspected allergen, like cat dander, to get into the body. 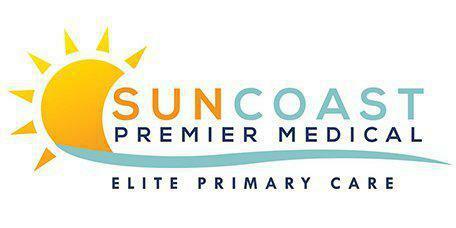 Dr. Perez and the staff at SunCoast Premier Medical will watch the patient closely for about 20 minutes to see if there is any reaction. An intradermal skin test is similar, but the substance is injected just under the skin surface with each puncture site labeled with the potential allergen. A patch test involves just taping the allergen to the skin and watching for a reaction over the next few days. How are Allergy Blood Tests Done? With a blood test, a technician examines the patient's blood looking for antibodies. Dr. Perez will order blood drawn in the office and send it to the lab for testing that measures different antibody levels. Dr. Perez might order a blood test if the patient has a severe skin reaction like eczema that makes skin testing difficult or if the reaction requires the patient to continue taking medication to safely counteract it.